The Office of the Executive Secretary refers to the overall activities of the various Divisions and Units that report directly to the Executive Secretary to ensure that organizational goals and objectives are met. Provides support and services regarding job descriptions, work plans, performance monitoring and evaluation, performance improvement, information technology, protocol and logistics to NIPC staff. Reviews and processes applications for Pioneer Status and other incentives, ensuring strict compliance with documented guidelines. Provides advice on legal issues, documents and agreements, to ensure the Commission carries out its responsibilities within the ambit of the law, and that its interests are adequately protected. Prepare requests for quotation, requests for proposals, requests for information or requests for tender, for procurement purposes. Provides independent, objective assurance that all organisational risks (financial and other) are being proactively managed at acceptable levels (including risks that management has decided to address through internal controls, e.g. compliance risks). Provides support to the Executive Secretary, functional heads and staff in facilitating compliance with relevant civil service regulations, as well as with NIPC’s policies (the Conditions of Service, HR Handbook, standard operating manuals, etc.). Duties as detailed in Section 6 (a)-(f) of the Corrupt Practices and Other Related Offences Act (2000), except that of prosecution. Facilitates and ensures compliance with SERVICOM’s service delivery regulations and guidelines that include Service charter formulation, implementation and review; Customer relations/grievances redress mechanism management; and Service improvement initiatives design, implementation and management. The Department’s primary responsibility includes all activities related to the general marketing of Nigeria and its investment opportunities to potential and present investors. It compiles and disseminate data to create the perception of Nigeria as the most attractive destination for international investment in Africa. 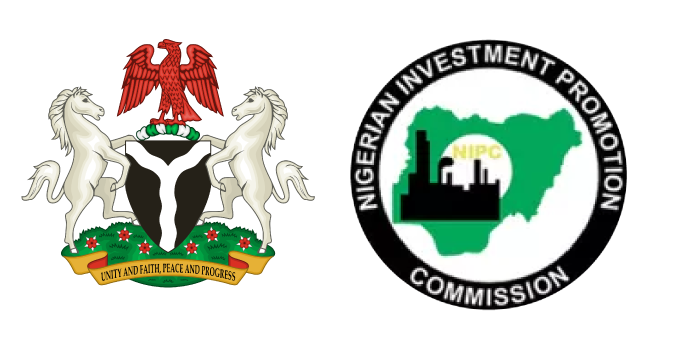 Oversee the planning, development and implementation of all marketing and public relations activities, both external and internal to promote NIPC’s corporate image. The Department is charged with the responsibility of direct marketing and securing investors for specific investment opportunities in selected, prioritised sectors in Nigeria to targeted potential investors. The Department provides a range of support services to assist potential and present investors as they make new or additional investments. Support existing investors in expanding their investments. The Department works with non-investor stakeholders to make investing in Nigeria easier. It supports initiatives to improve the quality of the investment climate and provide supply–side strategies that improve the competitive advantage of Nigeria and its attractiveness for foreign direct investment (FDI). Ensure that the Commission attracts and retains skilled and competent staff for effective and efficient achievement of its overall goals and objectives. The Department is responsible for the day-to-day management of the finance and administration functions of the organisation. It administers and manages all systems and processes related to control of budgets, financial management and financial accounting. The Department provides state-level support to potential and present investors as they make new or additional investments. It engages with state governments to identify investment opportunities and provide investment support to investors in states, across all sectors of the Nigerian economy.